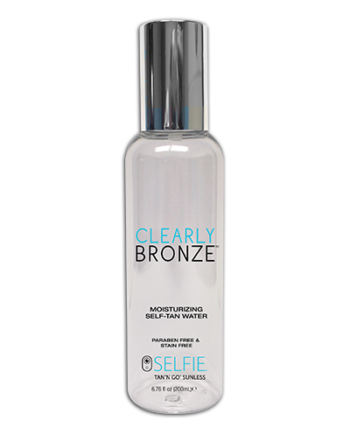 For a flawless airbrushed look that is worthy of the red carpet, Selfie® Continuous Sunless Spray with Immediate Bronzers provides total coverage, even in the those hard-to-reach areas. 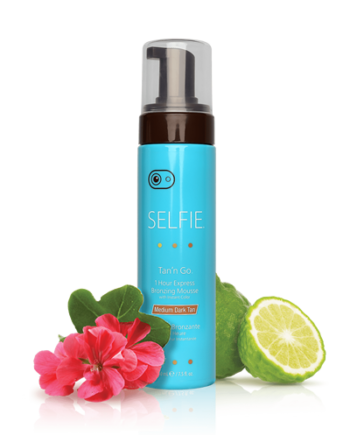 This easy-to-apply sunless tanning spray instantly bronzes the skin, giving you a natural, streak-free tan that deepens within 2-8 hours. It makes random streaks and missed spots a thing of the past. Best of all, the tan will last up to 7 days. 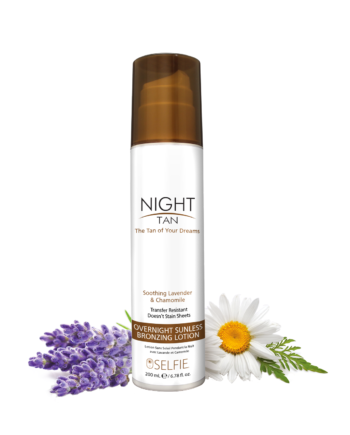 You control the darkness of your tan by monitoring the amount time you wait before rinsing off this self-tanning spray. 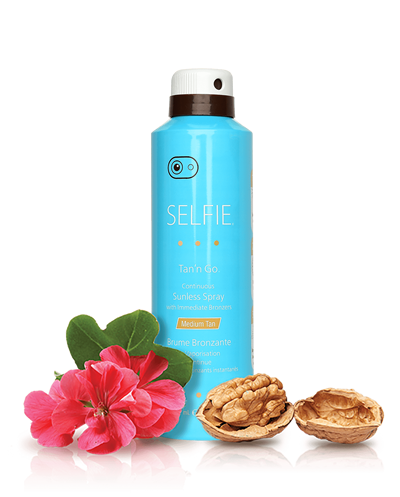 When you need an awesome tan for a special event but don’t have time to get a spray tan, this instant bronzer will give you a DIY airbrush tan that looks like a million bucks. 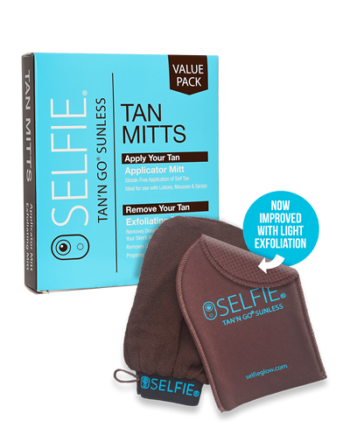 You’ll get a natural looking tan without having to risk the dangers of sun exposure or wait for an appointment at expensive spas or tanning booths. Our exclusive fragrance technology virtually eliminates obvious self-tan aroma, giving your skin a light yet clean fragrance with notes of pear, apple, and bergamot and a base of vanilla. 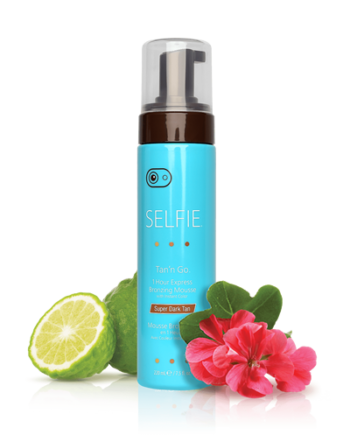 This sunless spray provides an instant tan perfect for all skin types. Exfoliate skin prior to use. Apply in a well ventilated area. Hold can 10 inches from body and spray with a quick, continuous sweeping motion — movement helps apply the color evenly. Do not spray directly on face. 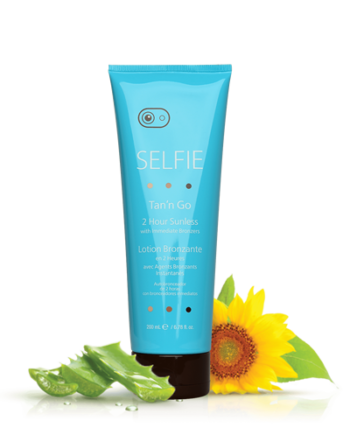 Use sparingly around hairlines, hands, feet, knees, elbows and ankles; blend with applicator mitt or hand. Wash hands directly after applying. Allow 10 minutes to dry before direct contact with clothes or water. Avoid spraying on fabrics, as this could cause discoloration. When desired color level is reached rinse off. 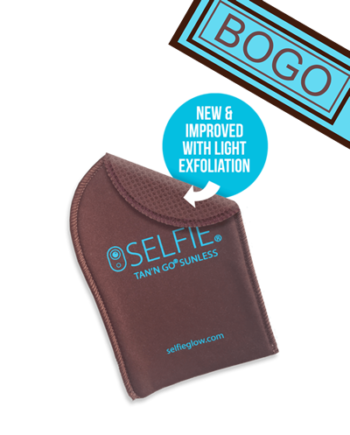 For a deeper tan, reapply. Brisk herbal fresh scent with a top note of pear, green apple and bergamot. The heart blends a field of wild herbs with geranium, violet, white hawthorn and lily, leading to a base of vanilla, cedar and fresh air. Must be applied in well ventilated area or outdoors. Use eye protection to avoid getting into eyes. Apply lip protection to avoid getting on lips. Wear ventilated mask over nose and mouth during application to avoid any absorption, inhalation or contact. For external use only. Avoid contact with eyes. Discontinue if skin irritation occurs. 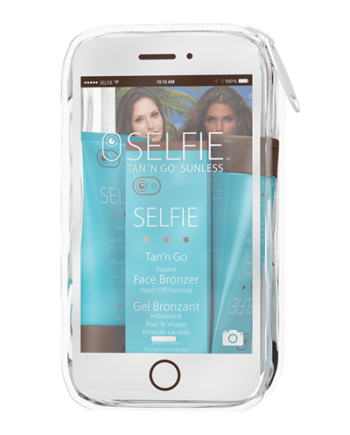 This product does not contain a sunscreen and does not protect against sunburn. Repeated exposure of unprotected skin while tanning may increase the risk of skin aging, skin cancer and other harmful effects to the skin even if you do not burn. KEEP OUT OF REACH OF CHILDREN. Alcohol Denat. SD Alcohol 40-B, Aqua, Dihydroxyacetone, Acrylates/Octylacrylamide Copolymer, Citric Acid, Parfum, CI 19140 (Yellow 5), CI 16035 (Red 40), Propylene Glycol, Hexyl Cinnamal, Butylphenyl Methylpropional, Limonene, Linalool, Erythrulose, Citronellol, CI 42090 (Blue 1), Juglans Regia (Walnut) Seed Extract, Hydroxycitronellal, Geraniol, Hydroxyisohexyl 3-Cyclohexene Carboxaldehyde, Amyl Cinnamal.